RE/MAX of Bartlesville, REALTORS is a full-service real estate company with 12 full-time top professional REALTORS. To be specific, RE/MAX of Bartlesville, REALTORS assisted over 400 families in Northeastern Oklahoma with their real estate needs in 2016 alone. Besides the high experience level of the REALTORS another contributing factor to the success of the office is the commitment of each individual working here. Every person is dedicated not only to personal success but to the overall success of the company. This is very evident in the sprit of cooperation that is a priority of the RE/MAX TEAM. 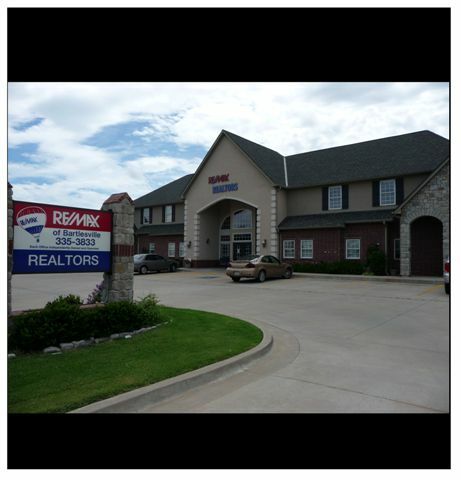 WHY CHOOSE RE/MAX OF BARTLESVILLE, REALTORS? Nobody in the World sells more Real Estate than RE/MAX! RE/MAX of Bartlesville, REALTORS Mission Statement: "Dedicated to utilizing our experience, knowledge, professionalism and ethical behavior to provide exceptional customer service, striving to gain and keep the respect and trust of our Clients and Community." A corporate commitment to excellence for REALTORS and clients. We are a leader in listing and selling homes in Bartlesville & surrounding areas.